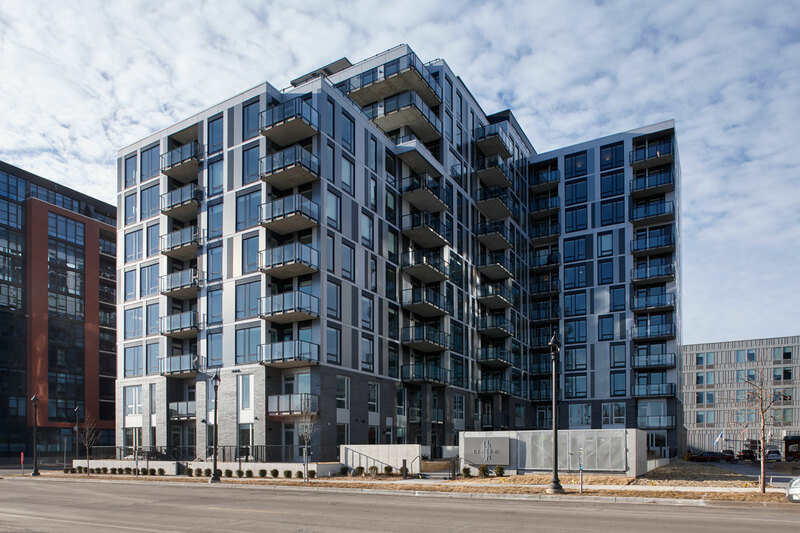 The Encore luxury apartments, which opened in November 2016 in the historic Mill District of Minneapolis, were designed to offer expansive views of both the city and the nearby Mississippi River to residents. 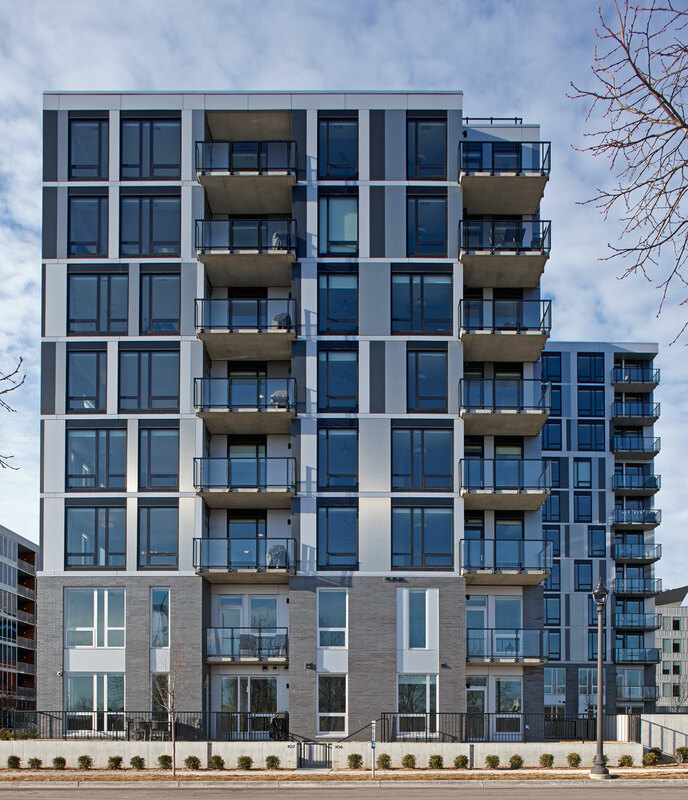 While architects at Minneapolis-headquartered ESG Architecture & Design designed the Encore with an abundance of windows to offer those vistas, they also wanted to minimize their impact on the building’s monolithic, sculptural exterior design. “We didn’t want the windows to appear as just holes in the walls,” said Bob Loken, AIA, LEED AP, partner, ESG. 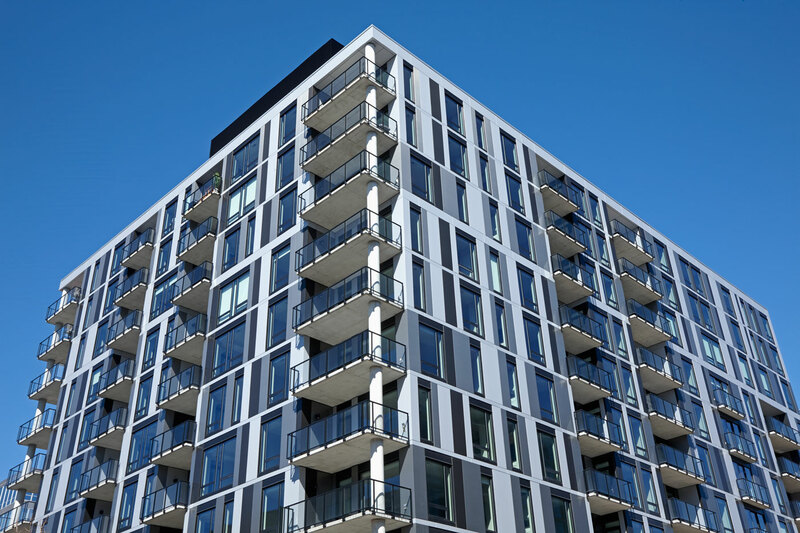 The resulting unique façade design consists of an overlaid grid pattern filled randomly with a combination of glass windows and Alucobond® Plus aluminum composite material (ACM) by 3A Composites USA. 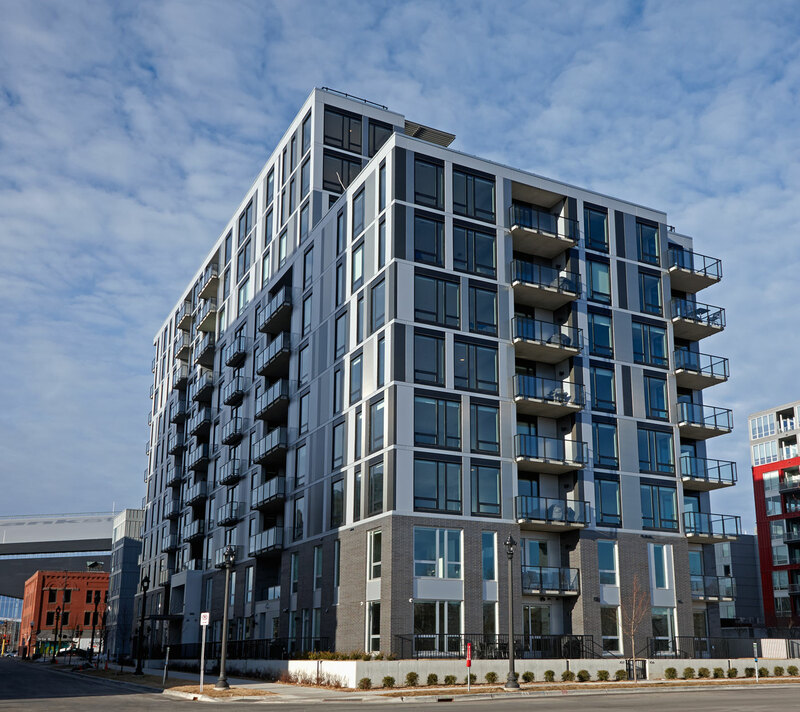 Situated near the Guthrie Theater – one of the nearby cultural institutions that inspired the luxury apartment building’s moniker – the $36-million 12-story Encore features 123 luxury units, including multilevel townhomes with first-story private entrances, nine penthouse homes on the upper floors and a rooftop gathering space. The 175,000-square-foot Encore features a two-story boutique style lobby and is built over three levels of underground parking – the latter totaling 72,000 square feet below grade. 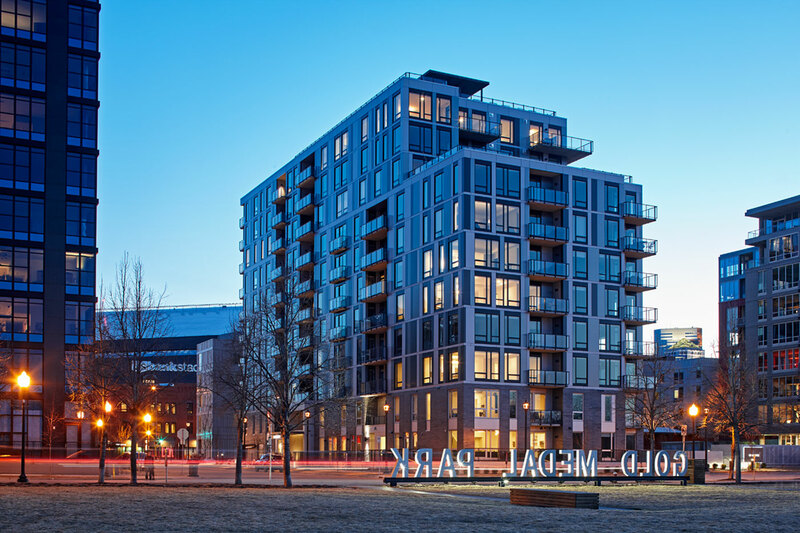 ESG created the building’s L-shaped design to maximize views of nearby Gold Medal Park, the Mississippi River, the river-spanning historic Stone Arch Bridge, the district’s historic mill buildings and downtown Minneapolis. ESG envisioned the Encore as “a sleek, sculptural building” within the context of the Mill District, according to Loken, who cited the sculptural designs of both the neighborhood’s Guthrie Theater and the new U.S. Bank Stadium, home of the National Football League’s Minnesota Vikings. 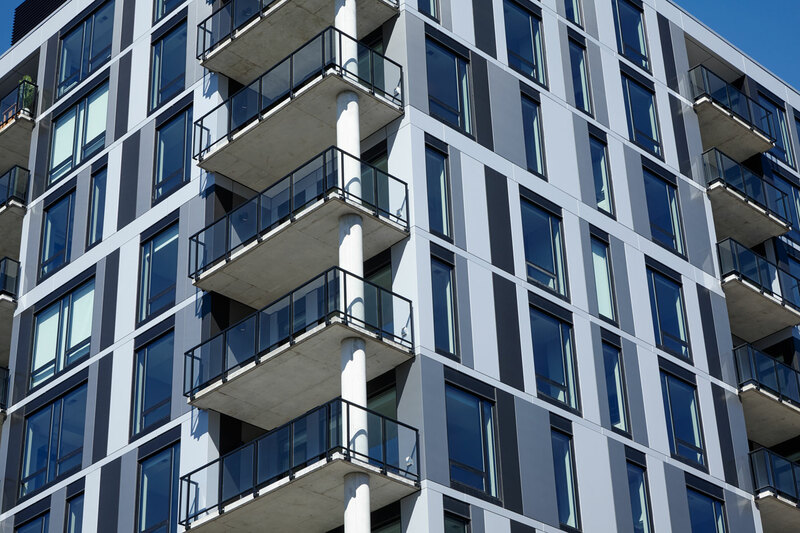 To create the appearance of a monolithic design, the Encore’s façade was formed with modules filled with glass and Alucobond, complementing iron-spot brick installed on the building’s first two stories. 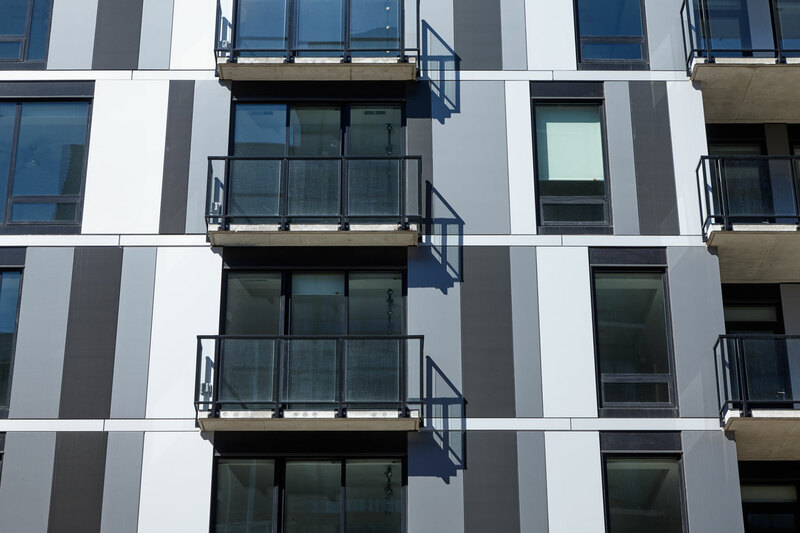 A total of 61,158 square feet of Alucobond Plus ACM was installed on the Encore in a complementary color palette, including: 26,909 square feet of Silver Metallic, 16,095 square feet of Brushed Stainless, 8,448 square feet of Brushed Graphite, 5,486 square feet of Focus Black, and 4,220 square feet of Anodic Clear. 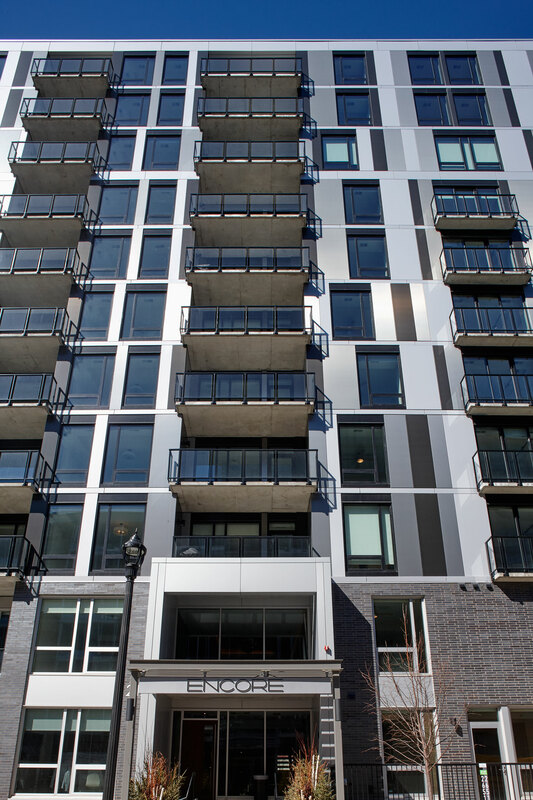 Loken said the Alucobond panels worked well with the glass to create the monolithic design. Bloomington, Minn.-headquartered Doran Construction served as general contractor for the project. Berwald Roofing & Sheet Metal Co., Inc., of North Saint Paul, Minn., fabricated and installed approximately 2,950 Alucobond Plus panels in sizes ranging from 16 inches to 4 feet wide and up to 10 feet tall as well as other various sizes. The Alucobond material was sold by EBP, LLC, of Excelsior, Minn.
To create the overlaid grid pattern with multiple colors of Alucobond panels, Berwald Roofing & Sheet Metal employees utilized a detailed panel numbering system to ensure that the correct panel colors were installed in the correct locations on the building. “We had to develop a road map for installing all of the Alucobond around the building – including working in and out of recessed balconies and around windows – all while ensuring the various colors and sizes were installed in the correct location,” said Brian Berwald, manager, Berwald Roofing & Sheet Metal, which created detailed shop drawings prior to fabrication. Panel installation was completed with a dry-set rainscreen system. 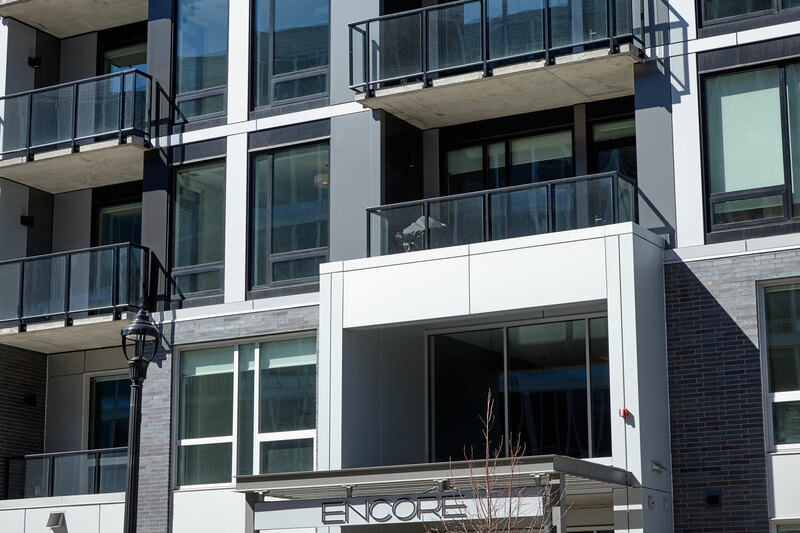 The Encore luxury apartment building, owned by Encore Apartments, LLC, is the third in a series of projects developed on the same block by Sherman Associates, Inc., of Minneapolis, and designed by ESG. The first two projects include the Aloft Hotel and Zenith Condominiums.